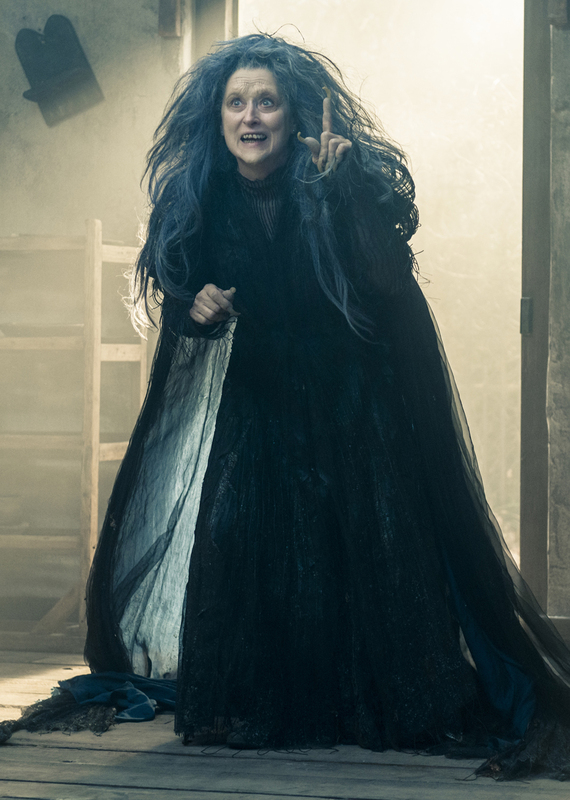 Composer Stephen Sondheim’s award-winning 1987 Broadway play, a marvelously intertwined tapestry of several Grimm fairy tales laced with decidedly grown-up themes, debuts on the big screen with an all-star cast—and enough Disney tweaking to make it marketable to younger audiences. Sondheim’s musical mash-up takes well-known characters from “Little Red Riding Hood,” “Jack in the Beanstalk,” “Rapunzel” and “Cinderella,” adds a few others, and puts them all on a woodland collision course of fate and fortune—and sometimes, alas, misfortune. “Anything can happen in the woods,” goes a line in one of the songs. 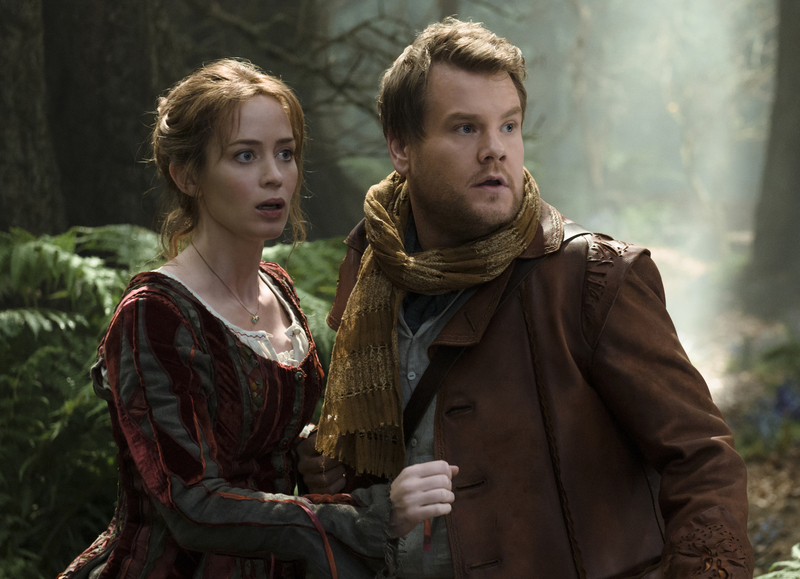 And it certainly does, as a kindly baker (James Cordon) and his wife (Emily Blunt) embark on a journey to find the magical ingredients that will break a generational curse cast by a witch (Meryl Streep) that has prevented them from having a child. 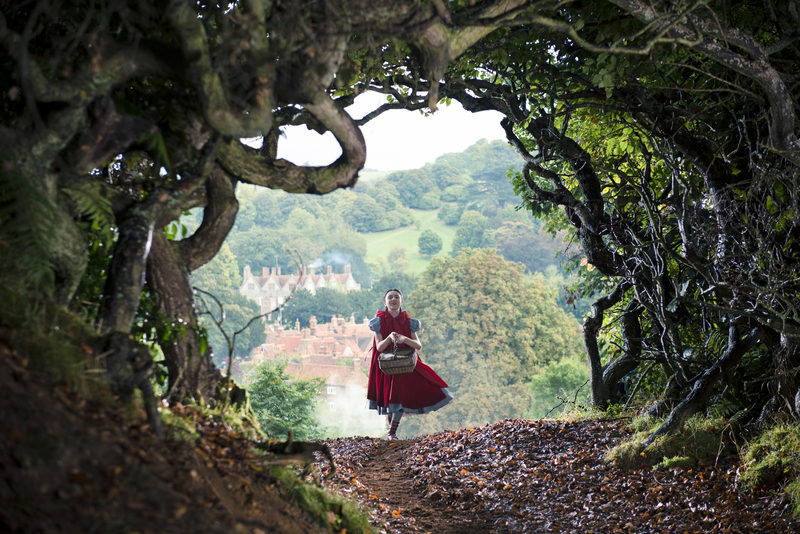 Before they go, they send Little Red Riding Hood (Lilla Crawford) traipsing off with a basket of baked goods to see her granny. Soon enough, they come across Cinderella (Anna Kendrick) fleeing from an arduous prince (Chris Pine), and the young village peasant Jack (Daniel Huddlestone), whose trade of a beloved milk cow for some magic beans will come to have calamitous effects for everyone. As anyone familiar with the musical knows, Sondheim’s storyline and wonderfully clever, crafty songs work on multiple levels. They traffic in some serious, decidedly heavy topics—parenting, choices, decisions, guilt, forgiveness, infidelity, murder and mortality. But they pack in some soft, tender moments, too, and some hilarious highlights, as well. Younger kids may think Johnny Depp’s two-scene cameo as The (big, bad) Wolf is just a howl-y hoot, but adults will easily catch the “sumptuous carnality” in the role’s campy pedophilic undertones. And you won’t come across many more amusing surprises than “Agony,” the preening, prancing “prince”-off duet between Chris Pine and Billy Magnussen, whose royal character yearns for the tower-trapped damsel with the golden hair, Rapunzel (Mackenzie Mauzy). Other recognizable faces include Tracey Ullman as Jack’s mother and Christine Baranski as Cinderella’s stepmother. Everyone sings, and does a terrific job. You might have known Streep and Kendrick, from previous movies, had the pipes for their roles, but prepared to be blown away by everyone else, especially Blunt (who was—ironically—pregnant during much of the shoot) and Cordon, who you’ll be seeing even more of when he takes over The Late Late Show on CBS in March. This fractured fairy tale might get a bit grim, especially for overly sensitive little ones; it was never intended as a sweet-dreams bedtime story. Disney has softened some of its coarser edges and made other modifications, but the “Be careful what you wish for” morality-tale message in the show’s not-always-so-happily-ever-after remains intact. Yes, anything can happen in the woods. Who knows, you might find magic beans, witches, princes, big bad wolves, and much more—like the year’s best, most delightful, star-packed movie musical.